Sunny and shady. What two terms could be more self-explanatory than that? At Mirage Landscaping, your one stop source for all of your residential and commercial landscaping needs in Calgary, we know that the difference between the two is vast. Typically, not very many people spend a nice spring or summer day noting exactly where their yard is sunny or shady throughout the day. However, this is actually a very good idea if you want to get a good idea of what will grow where on your property. It is very important to put the right kind of plants in the areas where they will receive the correct amount of sunlight. There are some useful guidelines when it comes to figuring out which plants will thrive on the different parts of your yard. The foremost one to observe is the hardiness zone rating your prospective plant carries. Calgary and its surrounding communities are generally Zone 2 and 3, with some particular low spots near the rivers capable of sustaining the woodier members of the Zone 4 group. For annuals, zones don’t matter quite as much because these plantings will not face a Calgary winter. And generally for annuals, it is not the shorter fall daya, but instead the overnight lows, that will cause the death of a plant. You also need to be aware of the way that the shadows are cast across your proposed planting areas. The reason that so many successful plantings face south rather than north is due to the fact that the sun traces an east-to-west arc across the sky. This fact of life puts the angle of the sun lower to the south side of an object and causes deeper shadows to its north side. If you have full sun to the south side of your property, you will have more planting options available to you. “Full sun” is any area that is exposed to six or more continuous hours of sunlight a day. What this practically means is that a plant is fully accustomed to the full heat of the sun and it will thrive in such strong light as long as it can gain enough daily moisture to not wilt. “Partial sun” and “partial shade” should be considered two sides of the same coin. The difference is in the emphasis on the duration of the partial condition. Generally speaking, a partial sun loving plant is one that thrives in full sunlight for only so long and then best benefits from late afternoon shade during the heat of the day. Partial shade is almost exactly like it sounds. Plants characterized this way benefit from either a sunny morning or evening, and midday shade, or a lot of morning shade followed by some strong midday sunlight and then dappled sunlight. “Full shade” does not stand in for “fully in the darkness” of shadows. Full shade means that the plant doesn’t thrive in strong sunlight at any point during the day. All plants require a photosynthesis reaction to keep themselves fed. 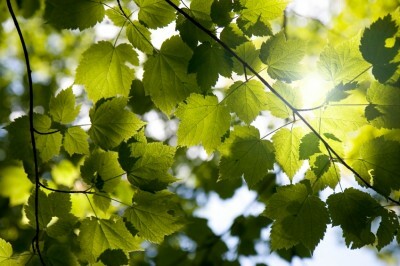 Full shade plants enjoy only dappled sunlight or direct morning sun. The remainder of the time, the specimen in question will unobtrusively be growing in shadows that would eventually kill a more sun loving varietal. There are many other factors about your property, besides available sunlight, that could also determine planting success, such as soil pH, soil composition, drainage, pests in the area and so on. At Mirage Landscaping of Calgary we have over three generations worth of experience working with both residential and commercial clients. Contact Mirage Landscaping for a free quote today.